This work focuses on the period which has, due to its historic and epic dimensions, marked profoundly and quite possibly forever the valley of the Soca River, or Isonzo, as it is usually known in historic literature, speaking about the First World War and the Twelve Isonzo Battles. In this regard the area of the Kanal community has a special privilege to feature in history and literature not as only a site of fighting but also to be remembered in the words of one of the most famous writers of the 20th century, Ernest Hemingway. 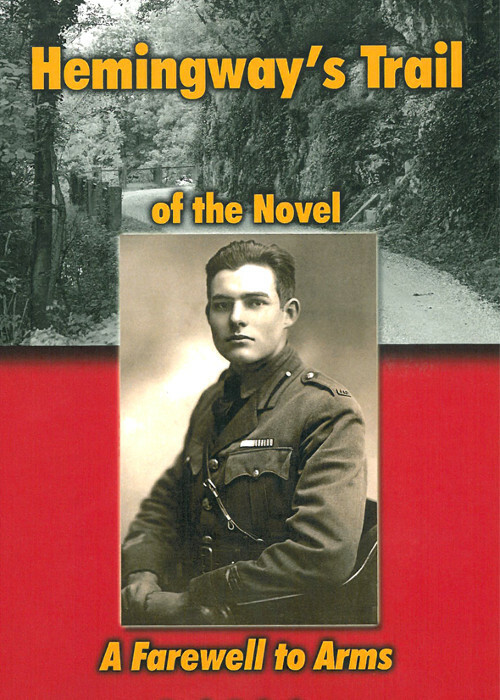 The problem, however, is that in his novel A Farewell to Arms Hemingway omitted most of the place names. Because of this hardly anybody realizes that the story takes place on what is now Slovenian soil, including the area of the town of Kanal. Many readers probably remember the city of Gorica as the place where the story begins and surely everybody remembers Milano as the place where the love between the two main characters flourished. But until recently, apart from a couple of enthusiastic locals, no one ever had the faintest idea that the most dramatic event of the novel takes place in Kanal. This event is the injury of Lieutenant Frederic Henry, the hero of the novel. 112 photos, 1 illustration, 3 maps.